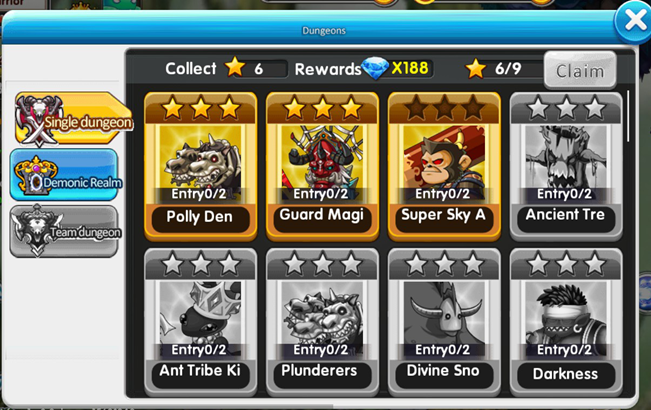 · Each dungeons all have 2 daily entries. · By completing the dungeon will consider as 1 entry. · Achieve certain amount of Star to get great rewards!